premium for too little in benefits. In addition to getting great rates, groups who have a healthy year can get money back at the end of the plan year. 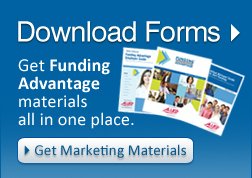 > View frequently asked questions about the Funding Advantage plan. Employers don't buy insurance for benefits that they don't use. Unused claim fund money is returned to the employer at the end of the plan year. Funding Advantage saves employers money by paying claims with the employer's own money instead of just insurance premiums. Employers are provided maximum protection with stop-loss insurance that provides coverage if claims grow larger. Stop-loss insurance fully protects employers from larger claims and excessive total group claims. This plan is an ERISA plan that is exempt from some of the new federal Affordable Care Act regulations - particularly those parts that will cause fully insured premiums to climb substantially. Download our User Guide to help you quickly and easily enroll your groups using our online group enrollment system. 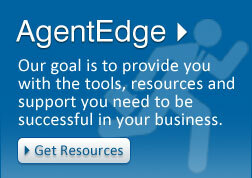 A library of resources available to agents for sales, marketing, training and educational purposes. Applications for carrier appointments and compensation agreement. Get the latest WINAllied proposal software and quote Allied group products on your computer.